Exhibiting high mechanical properties, the offered Aluminium Granules are extensively used in aeronautic industry. Most often, they are used for catalysis bioanalysis and in the fabrication of electronic devices. 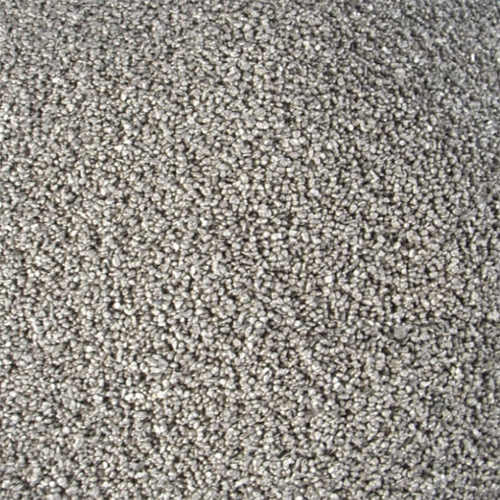 Since they are very prone to get oxidized or corroded, the surface treatment of the granules is essential. There is a compound known as TiO2. It is used to improve the anti-corrosive property of aluminum. Besides, Aluminium Granules are made by utilizing advanced molding methods. We have used primary aluminum that is air or vacuum blown with the help of cutting edge technology to manufacture the granules. Therefore, our offered Aluminium Granules are the best quality and very effective product.